If climbing is new to you, this page will help you in advance of your 1st visit. Climbing is a very accessible sport so anyone can do it! It can be a sociable way to get fit, a competitive sport or and adventurous activity. You can be as safe or as “extreme” as you want! Everyone is welcome to climb at Cragfit. This page gives you some useful information for your 1st visit. Please note that while there are some age restrictions, these may be subject to change depending on any upgrades we make to the centre or any changes to legislation. We ask everyone who uses our facilities to register for safety reasons because climbing in any form carries a certain risk. This is usually done on your first visit to the centre. If you were previously registered to climb at our old venue, Aber Rocks, you do not need to re-register if you are just bouldering but you will need to re-register if you wish to use the roped climbing. Is climbing completely new to you? – You should take an introductory course. Choose which course suits your needs here. 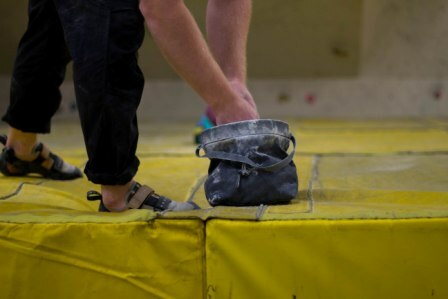 Do you have a bit of experience but haven’t climbed for a while? We would recommend one of our courses to get you back on track. Are you an experienced regular climber or confident enough to have a go? – come on down! We’ll just confirm a few details on your first visit and off you go! Bouldering Area = Ages 7 and upwards. Gym area = No under 18s will be allowed to use the weights equipment unless accompanied by a responsible adult AND approved by us. 16 to 18yr olds can only use the equipment unsupervised if their parents consent in addition to our approval. Your rope skills will be tested before you will be permitted to use the Roped Climbing Area. Children under 14 years are permitted to use the Roped Climbing Area ONLY if accompanied by a competent adult AND wearing the appropriate safety equipment for their age. If you want to use the roped climbing, you must either pass a short competency test as part of the registration process or take our ‘Learn the Ropes’ Course. In order for children under 14 years to rope climb we require the supervising adult to register and pass the competency test. Children under 10years are not permitted to belay others. Children between the ages of 10 and 14 may be permitted to belay under appropriate supervision. We are here to help so if you have any questions Pay us a visit or get in touch. Alternatively, you can view our full terms and conditions here.